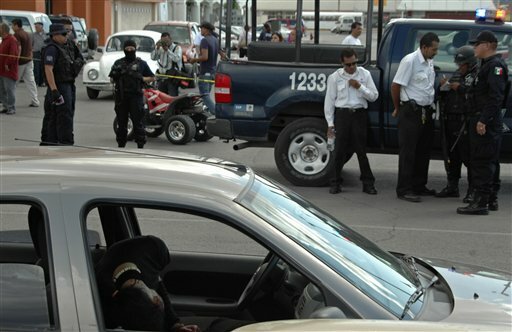 CIUDAD JUAREZ, Mexico -Mexican journalists are defenseless against cartel attacks that the government seems incapable of stopping, the main newspaper in this drug war-torn city said Thursday in a front-page editorial inspired by the killing of one its photographers. Violence, meanwhile, continued in Ciudad Juarez: Gunmen burst into a bar and killed seven men and a woman, said Arturo Sandoval, a spokesman for the Chihuahua state attorney general’s office. One woman was injured. El Diario de Juarez said journalists have nowhere to turn for protection because of the inability of Mexican security forces to solve most attacks on the media. “In a country where authorities have proven their incompetence, where can we ask for justice? Who can we complain to for the dangers that journalists face every day?” the newspaper said in its editorial. Photographer Luis Carlos Santiago, 21, was gunned down in his car Wednesday. 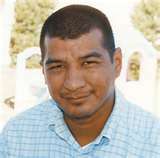 Another photographer, Carlos Sanchez, was seriously wounded. The Interior Department condemned the attack and promised that investigators would do everything in their power to find those responsible. Santiago was the second El Diario journalist slain since a turf war erupted two years ago between the Juarez and Sinaloa drug cartels in this city across from El Paso, Texas. Crime reporter Armando Rodriguez was shot dead in front of his home in 2008, and the next year a federal agent who was investigating his death was killed. The Committee to Protect Journalists, a New York-based watchdog group, said in a recent report that at least 22 Mexican journalists have been killed since December 2006, when President Felipe Calderon intensified a crackdown on drug cartels by deploying tens of thousands of troops and federal police across the country. El Diario de Juarez is not one of them. “The truth is, there is nothing we can do but keep reporting while feeling totally defenseless,” the editorial said. The fighting in Ciudad Juarez has made it of the most dangerous cities in the world, with more than 4,000 people killed in the past two years.